These silver plated candlesticks are perfect for travel! 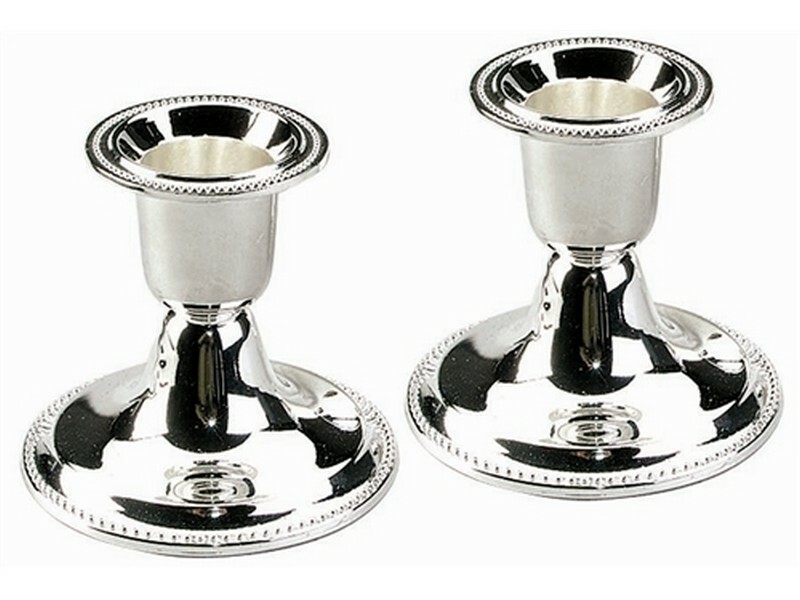 Small enough to pack up, these candlesticks will add the spirit of Shabbat wherever your travels may take you! Designed with a smooth finish, its round base and cup are decorated with small, raised dots. This set of candlesticks are also great to have in the home for guests. Candlesticks are suitable to be used with standard sized wax candles or glass holders.